UDON: Hakubaku Japanese noodles such as Udon have been around for more than 1000 years, and of course they had been all hand made till industrialization. 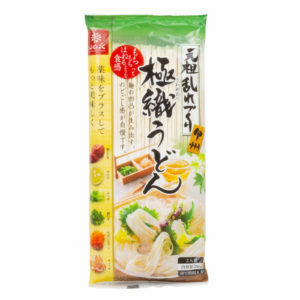 Hakubaku patented noodle-making technology shapes the dough into a wavy-hand made looking noodle. Each strand of noodles are different in shape and thickness. It does not only look authentic and traditional, but it also gives positive impact on the taste and texture. Different thickness and uneven shape of the noodle creates authentic chewy-full-bodied texture harmony. It also captures right amount of soup to create perfect harmony of the taste and texture. Cooking instructions: Add 7oz (100g) noodles to 50 fl oz (1.5L) boiling water. Cook 7min for hot dishes, 8min for cold dishes. For cold dishes, drain- then rinse in cold water, drain again. SOBA: Hakubaku Japanese Soba noodles with stone-milled Japanese buckwheat flours for authentic taste, flavor and texture. Each strand of noodles are different in shape and thickness that creates traditional chewy full-bodied-texture. 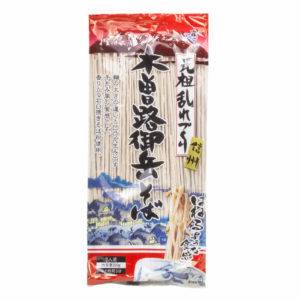 Our Soba is made in the Kaida Highlands Nagano Prefecture Japan, well known for using the best water for noodle production. Cooking instructions: Add 7oz (100g) noodles to 50 fl oz (1.5L) boiling water. Cook 4min for hot dishes, 5min for cold dishes. For cold dishes, drain- then rinse in cold water, drain again.